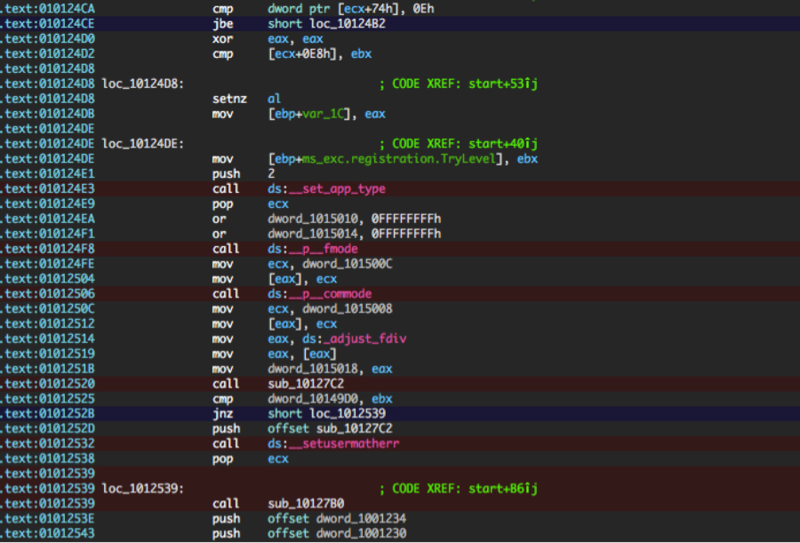 One feature of OllyDbg I love, which I miss when using IDA for viewing disassembly listings and debugging, is Schemes. 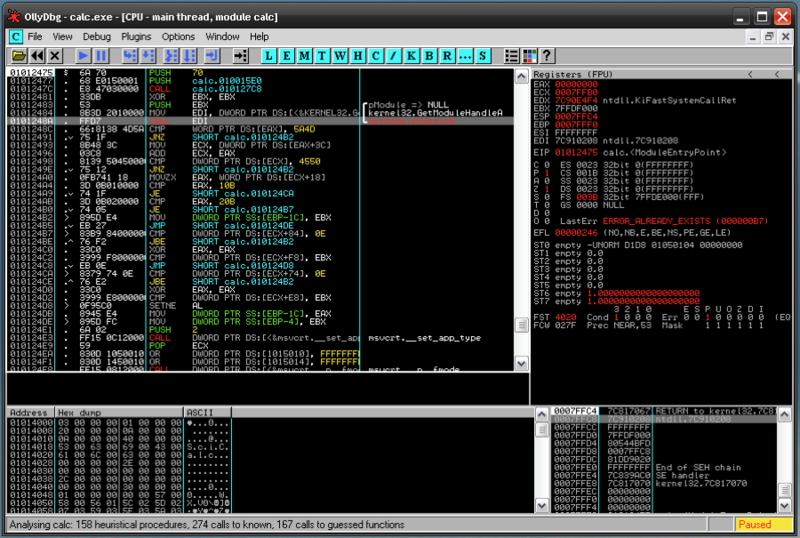 Schemes in OllyDbg allow the user to assign commands and operands to specific colors. Figure 1 shows OllyDbg using the Jumps’n’calls highlighting Scheme, where calls are highlighted red and jumps in yellow and blue. More examples of Olly’s Schemes can be found at:http://www.ollydbg.de/schemes.htm. While IDA does allow highlighting a specific line, it does not allow the user to specify colors for individual mnemonics. Furthermore, when I’m trying to get my bearings in code quickly, I name memory locations using a convention that allows me to see how much time I have spent in the location and how sure I am of its functionality. For instance, if I glance at a function that is performing some sort of registry query but I’m unsure of its purpose, I may label it ‘____?RegStuff’ and on a second pass if I notice creation of a start-up item, I rename it something like, ‘__?CreateRunKey’, etc. 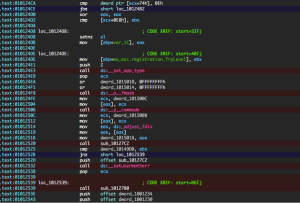 I created an IDA Python script to mimic some of the Scheme functionality by allowing the user to specify colors for jumps, calls and calls to named locations with various prefixes. This script can be run from the File->Script file… menu item or loaded through idapythonrc.py. When run, the script adds a ‘Highlight Special Lines’ to the Edit->Other menu with a hotkey of Alt-h. Using Alt-h will apply coloring or remove coloring from the highlighted lines. 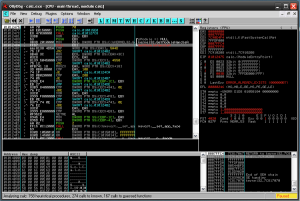 By default the colors are red for calls and blue for jumps as shown in Figure 2. Prefixing locations with predefined constants in __CONFIG allows coloring of calls to named locations. 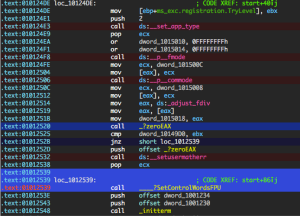 Figure 3 shows 0x01012520 and 0x01012539 highlighted differently because the locations they call have been named according to the configured convention. 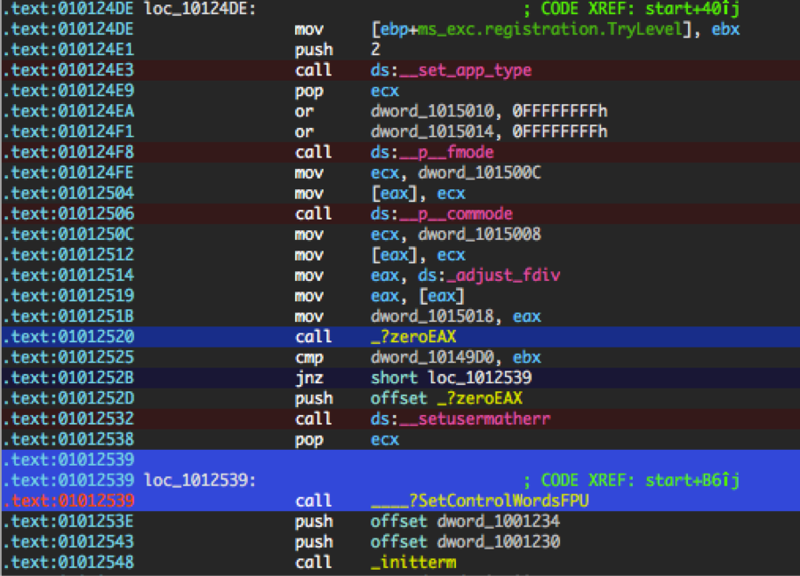 While I recognize all these colors may be incredibly obnoxious to some, having different classes of jumps and calls highlighted separately allows me navigate code and understand where I haven’t yet been at a glance. I hope this script will make your IDA environment a little more like home. If you have any questions, rants, fixes, etc. please send them my way. Case Barnes is a manager of Optiv’s enterprise incident management practice where he provides clients tactical solutions to mitigate the consequences of executing malicious code and the actions of internal and external threat actors.